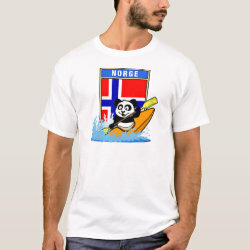 This cute panda bear is kayaking in front of a Norwegian flag! How cute is that? makes a perfect gift for active outdoor people or kayaking fanatics from Norway. Great for everyone who loves cute pandas and kayaking.